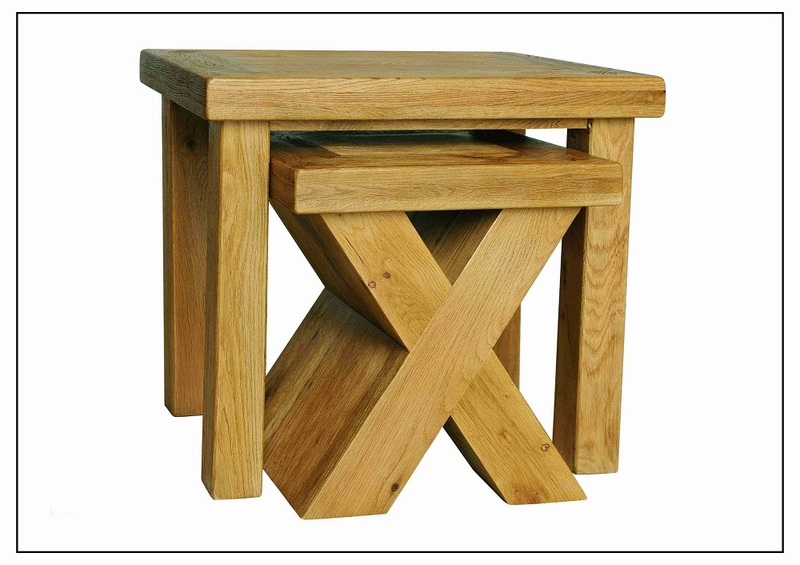 The superb cross frame table is complemented by matching cross shape detailing on the cabinets and the chair backs. Each piece is finished in a weathered oak natural finish which accentuates the sturdy style and yet is contrasted by the delicate detail of a bow shaped insert across the joints. The Oakdate Dining Range boasts a bold modern design made of oak.